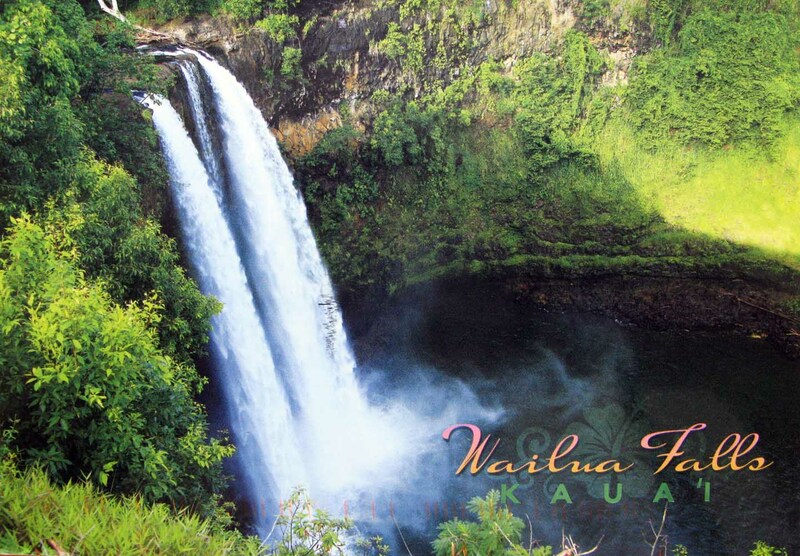 Wailua Falls is an 113-foot waterfall located in Kauai, Hawaii that feeds into the Wailua River. There are paths to the bottom of the falls, but it can be muddy, slippery and dangerous. The “trail” further from the parking lot is less steep than the closer one. Some hikers have strung ropes along the paths, but officials come by every so often and cut them. In ancient times, Hawaiian men would jump from the top of the falls to prove their manhood. And people still leap off, though it is dangerous and illegal. The pool is great swimming, but do not go near the waterfall as the currents are very dangerous.There is another waterfall nearby named ‘Opaeka’a Falls.